International Trends in Financial Reporting under IFRS: Including Comparisons with US GAAP, China GAAP, and India Accounting Standards Published Online: 11 SEP 2015... • Deloitte India publication Indian GAAP, IFRS and Ind AS: A Comparison setting out the significant differences • Ind AS considerations for Boards and Audit Committee Deloitte refers to one or more of Deloitte Touche Tohmatsu Limited, a UK private company limited by guarantee (“DTTL”), its network of member firms, and their related entities. The International Accounting Standards Board (IASB) issued the final version of IFRS 9 Financial Instruments on 24 July 2014. IFRS 9 brings together the classification and measurement, impairment and hedge accounting phases of the IASB’s project to replace IAS 39 Financial Instruments: Recognition and Measurement and is expected to be effective for annual periods beginning on or …... Deloitte Touche Tohmatsu India Private Limited has compiled a publication – 'Indian GAAP, IFRS and Ind AS - A Comparison'. 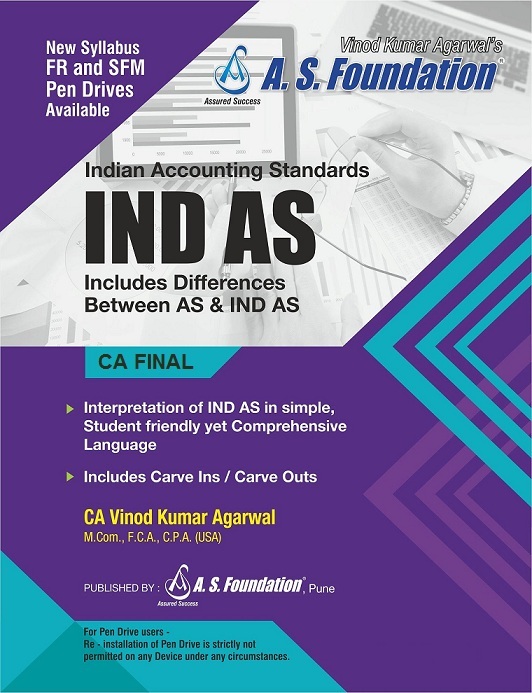 It sets out the significant differences between Indian GAAP, IFRS and Ind AS (the IFRS equivalent Indian Accounting standards) issued by the Ministry of Corporate Affairs, Government of India in February 2015. Further, certain Indian standards offer accounting policy choices which are not available under IFRS, for example, use of pooling of interests method in accounting for business combinations. There is an urgent need to address these challenges and work towards full adoption of IFRS in India. IFRS convergence in India has been triggered by the notification of the Indian Accounting Standards on 16th February, 2015. The notification shall come into effective on and from 1st April, 2015. Timeline for Ind AS implementation is 2016-17 & 2017-18. Appendix III. Major departures in Indian Accounting Standards from the corresponding IFRSs The present position of Indian accounting standards has been depicted in the following comparative statements of International Financial Reporting Standards and Indian Accounting Standards.